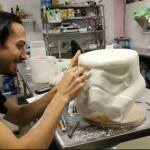 We have featured plenty of weird and wonderful geeky cakes on Geeky Gadgets over the year. 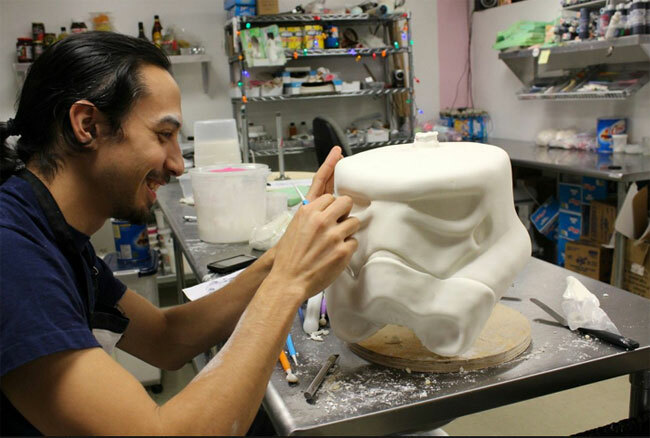 But this awesome full sized edible Stormtrooper cake has to be the largest we have featured. 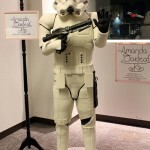 The life size edible Stormtrooper cake has been created and baked by Oak Leaf Cakes, for the Arisia Science Fiction Convention in Boston, and measure a massive 6ft 4 inches in height. 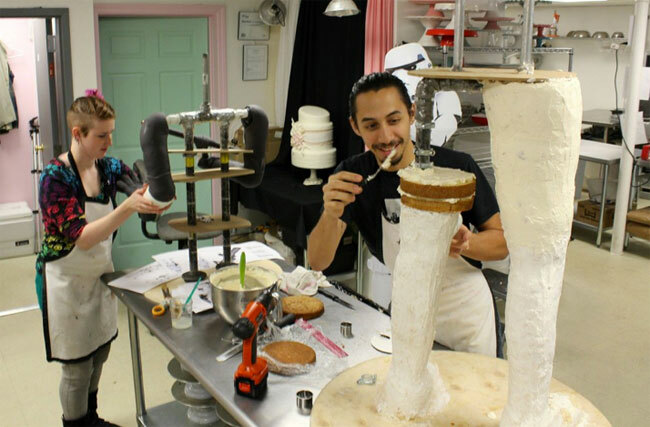 It took ten people two full weeks to make the cake and put all the pieces together. The Stormtroopers legs are made from Rice Krsipys, and have been designed to support the Stromtroopers 300lb body. The cake was enjoyed by 600 600 hungry conventioneers at the Arisia Sci-Fi Convention in Boston, MA. 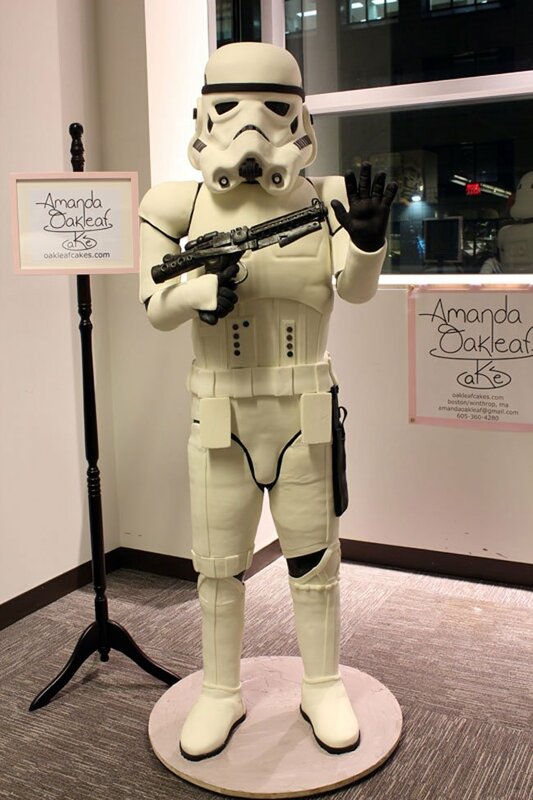 For more information and to see more images of this amazing full sized edible Stormtrooper cake being built and eaten, jump over to the Oak Leaf Cakes website.